With the PlayStation Vita probably being one of the last things on Sony’s mind, it’s rare that an indie studio would announce an exclusive game for the handheld. Drinkbox Studios (Guacamelee and Mutant Blobs Attack) revealed their dungeon-crawling RPG Severed in 2014 solely for the Vita; the surprisingly dark game utilizes the handheld’s touch feature to aid in the killing of monsters in a first-person POV. This game’s imagery is very different than the team’s more silly and colorful approach. We decided to interview Drinkbox Studio’s co-owner Graham Smith to tell us all about Severed’s development and the choice to make it for the PlayStation Vita. So far Drinkbox Studios has focused on side scrolling adventures; was it tough for the team to switch gears and create a dungeon crawler? After 6 years of exclusively working on platformers (About a Blob, Mutant Blobs Attack, Guacamelee, and Guacamelee Super Turbo Championship Edition), the team really felt like we needed to work on something completely different. Switching to working on a 1st-person dungeon crawler presented us with a ton of new design problems that were quite challenging to overcome. Did you use any other games as reference? What are some of your favorite dungeon crawlers? Growing up, we loved playing games like Dungeon Master, Eye of the Beholder, Shining in the Darkness. More current games like Legend of Grimrock also inspired us on the “Dungeon Crawling” side. Severed’s combat and high level game flow has influences from games like Mike Tyson’s Punch Out and Infinity Blade, Mega Man, and there are even some Metroidvania-like world unlock mechanics. The game is a bit of a melting pot of game genres. What led to Severed’s inception? Severed was initially pitched by Augusto Quijano (@Q__XO), our Concept Lead, in the form of a Flash Animation. We liked the concept and included the idea as part of a 1-week internal game jam that the company did back in 2013. We liked what was built out in the game jam so much that we chose Severed as our next project for the studio. 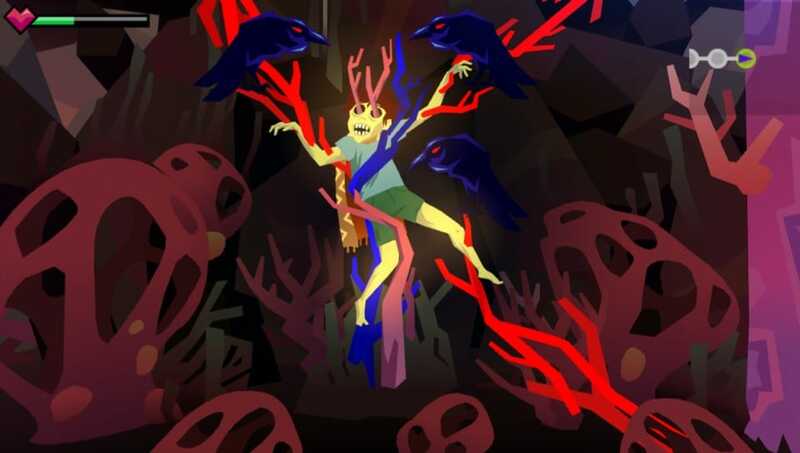 How did the team like going from a colorful and lively game like Guacamelee to a dark and bloody game like Severed? After working on so many comical silly games in a row, it did feel a bit weird working on a game with a much more serious tone. At the same time, it was a nice change to be able to think about storytelling from a more serious point of view. Guacamelee had a lot of bonus content for those that wanted to dig deeper into the game than just the story. Is that principle also expressed in Severed? Like Guacamelee, people will get to explore a bunch of additional content on their way to obtaining the platinum trophy. 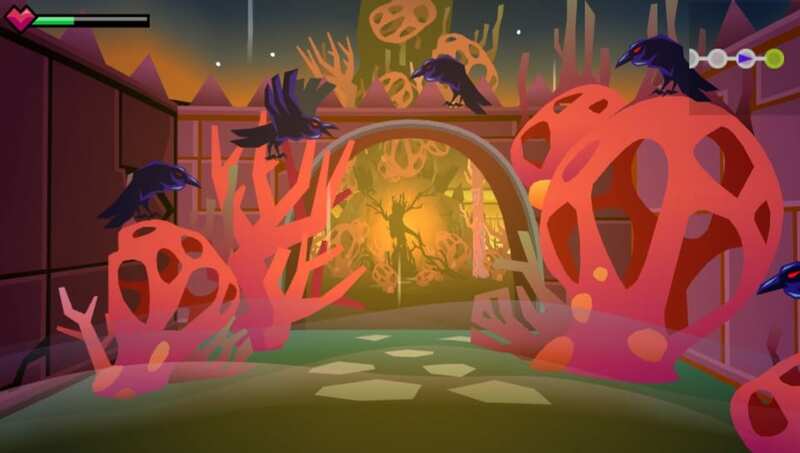 Severed also has a lot of secret areas and challenges that are completely optional, including some special bonus story moments that only more thorough players will experience. The internet is full of commenters that say “Sony has given up on Vita”, but here you guys are making a Vita exclusive (for now). What do you see in the Vita fanbase that drives you to support the handheld has an independent developer? We’ve loved working closely with Sony on all of our games to date, and Severed will be our third title to launch on the PS Vita. Our successes on the Vita (and other Sony platforms) have helped us to build Drinkbox Studios into what it is today, and we really appreciate the support that Sony and their fans have given us. Severed took about a year longer to develop than we initially expected, and we recognize that the PS Vita seemed to slowly be losing its support over this time, but we hope that there are still plenty of people out there playing their Vitas and looking for new and unique titles to buy for the system. In the past, touch games have been seen as a gimmick. Is it hard to market a touch game to get in players hands and show that they could have a good time? When reading the comments in articles about Severed, people often do seem very dismissive about games that use touch as a primary means of control. “I was interested until I saw the words ‘touch controls'”. More recently, after bringing demos of the game to PAX East and PlayStation Experience, we’ve started to see people who have tried the demo for Severed coming to our defense in comments saying things like “I was turned off by idea of touch controls too, but really enjoyed how Severed is using them”. It seems that people immediately associate touch controls with a game being “casual”, and Severed is far from casual. 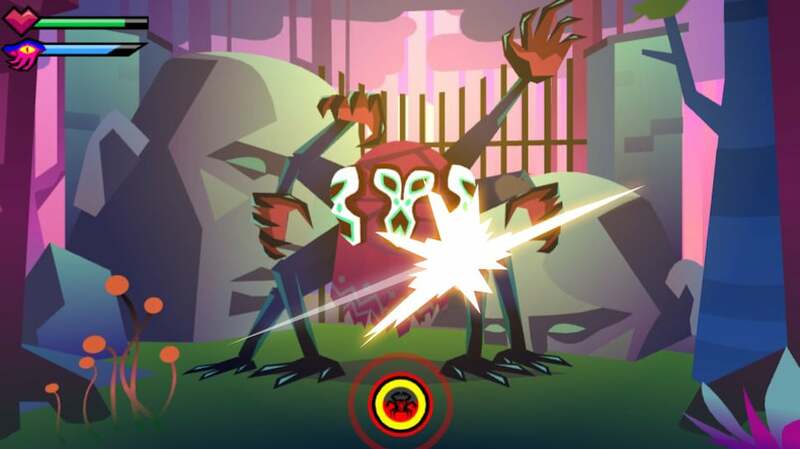 Severed uses the touch screen to simulate swipes of the player’s sword. Using touch to simulate the sword (instead of button presses) allows us to require more precision for the location of swipes, which adds a lot of challenge and strategy to the game. The FAQ for Severed’s website has multiple questions addressing fans asking for Guacamelee 2 and how you are working on Severed right now instead. Do you still get this request? Everyone wants a sequel to Guacamelee. The good news is that we also want to make a sequel to Guacamelee some day. We just need some time to pass so that we can recharge and think of new ideas of what we’d bring to that universe in a sequel. You’ve created 3 new IPs in your time developing games as a company, with only one having a sequel. Do you ever plan to get comfortable with a particular genre and bank on that or do you plan to continue this trend of creating new IPs? While I do expect us to go back and re-explore games within the universes of our old IPs, I think we’re always going to want to be creating new IPs. Would you like to see Severed released on a physical cartridge? Possibly! We’ve talked about this internally a lot but have no definite plans yet. The released date for Severed is set for April 26, would it be too early to ask if Drinkbox Studios is already working on ideas for future titles? We have! During the development of Severed we had a small team working on a prototype of a new IP for a potential future project. But, I’ve already said too much…. Severed is coming out for the PlayStation Vita via PSN on April 26 for $14.99. Next Post:Total Control Ep 71: How Much Censored is This Thing?